GMC produced two vans that ruled the mid ’80s and lasted until the mid 2000s. The Astro van and the Safari were very much the same vehicle and often marketed together. These full-size vans competed directly with Ford and Chevy to capture a percentage of the minivan and commercial van market. The 4.3L V6 engine inside provided plenty of power and almost 20 years of innovation was put into this engine by GMC. 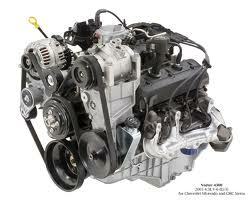 We sell car engines and van engines here at www.carenginesforsale.com. Our GMC Safari 4.3L engines for sale are priced to help you save money on your replacement engine purchase. We give every buyer two options to purchase one of our GMC engines for sale. The first option is a used engine. These are found and purchased only from legitimate dealers that we trust to ensure we receive the best engines that our money can buy. We sell these engines straight to junkyards and scrap yards that in turn resell them to customers wanting to save money. The second option is our rebuilt engines. These are just like a used engine except that they are rebuilt to rival the quality of a brand new engine. Now you know what GMC engines you can purchase from our company. Every motor that lines the shelves of our warehouse is there for a reason. This reason is not just to sell. They are there because they have passed our rigorous engine testing. We do this testing in two parts. The first is an expert evaluation by our GMC mechanics on staff. These professionals know the warning signs of failure and what to do if parts are not the quality that we expect. When each V6 engine has been inspected and evaluated, it will then move to be rebuilt or further tested in our facility. Our 4.3L used engines are dyno tested before they are sent to locations around the world. This reduces the risk of failure after customer installations. For engines that get rebuilt, they are positioned inside of our engine shop. We have a team of mechanics that go to work on each engine and clean them thoroughly. The worn out parts that we find are thrown out and exchanged for new ones that are certified OEM. It is these parts that are placed on the Safari engines and what will extend the life of the engines for many years. The compression and idling tests come next and are the last step in our procedures for dyno testing. There is no way that we would be able to offer engines without completing these engine testing tasks. You know about our quality. You know about our rebuilds. It’s time to learn about our pricing. Visiting this website will be one of the best things you’ve ever done. Our prices are among the lowest you can ever find offline or online. Use our simple 4.3L quote form right on this page. It will display our pricing to you. There are no surprises here. Give us a call if you choose at 1-877-630-3873 and we can give you the same price quote right on the phone. You have a choice to save money or pay too much elsewhere. What do you want to do?